Griezmann: I don't really hate Ronaldo! Atletico Madrid forward Antoine Griezmann claims he has nothing but respect for Real Madrid and Portugal star Cristiano Ronaldo. Ronaldo recently revealed Griezmann had told the 31-year-old he "hated him" when they met in Miami while on holiday this summer, but the France forward has made it clear the comment was made in jest. The duo have become rivals on the pitch in Madrid and internationally, with Ronaldo and Real beating Griezmann and Atletico in last season's Champions League final before Portugal defeated France to win Euro 2016. Griezmann says they continue to get on well, however, having previously lived close to each other in the Spanish capital. 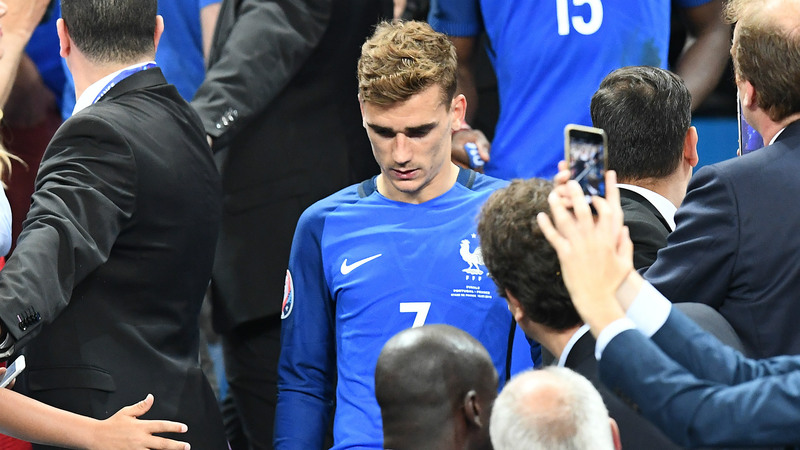 "Ronaldo used to be my neighbour and he passed my house every day," Griezmann told L'Equipe. "We always greeted each other. But I moved house last year. I do not live far away now, but you do not meet as regularly. "But we did meet this summer in Miami. I was on holiday with my partner and we met Cristiano in a restaurant. It was a huge coincidence. I went up to him to congratulate him for Portugal's Euro 2016 win and Madrid's Champions League victory. "I joked that I hated him, because I was still suffering after the Euro 2016 final. But I obviously do not feel differently about him because he beat me in two major finals and scored a hat-trick at the weekend. I have a lot of respect for him. "If I was still a young kid, I would probably be a fan of him, just like I would be a fan of Lionel Messi, Neymar and Paul Pogba."